How to use powerful tools to engage customers with your brand Marketers, technologists, and corporate leaders are looking for ways to more effectively connect consumers with their brand. 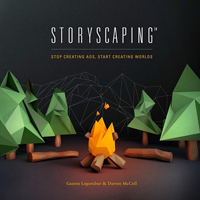 Storyscapes introduces “storyscaping” as a way to create immersive experiences that solve the challenge of connecting brands and consumers. This book describes a powerful new approach to advertising and marketing for the digital age that involves using stories to design emotional and transactional experiences for customers, both online and offline. Each connection inspires engagement with another, so the brand becomes part of the customer’s story. Authors Gaston Legorburu and Darren McColl explain how marketers can identify and define the core target audience segment, define your brand’s purpose, understand the emotional desires of your consumers, and more. 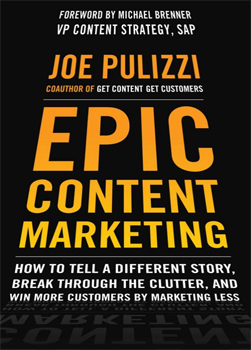 Joe Pulizzi is first and foremost a content marketing evangelist. He began using the term “content marketing” back in 2001. He’s the founder of the Content Marketing Institute (CMI), the leading content marketing educational resource for enterprise brands, recognized as the fastest growing business media company by Inc. magazine in 2013. CMI is responsible for producing Content Marketing World, the largest content marketing event in the world, as well as the leading content marketing magazine, Chief Content Officer. CMI also offers strategic consulting for enterprise brands such as AT&T, Petco, LinkedIn, SAP and many others. Entertainment is now a $500 billion industry that reaches into every corner of human life. 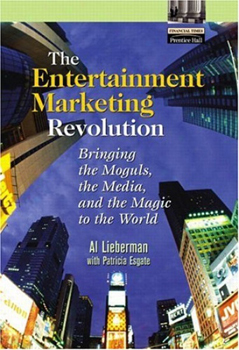 The Entertainment Marketing Revolution: Bringing the Moguls, the Media, and the Magic to the World profiles that industry, from film to print, music to theme parks—and shows exactly how to find and reach your market in today’s insanely competitive marketplace. Discover the driving forces, key synergies, new opportunities, and advanced marketing techniques today’s top companies are riding to success… and learn how to create tomorrow’s blockbuster properties, starting today. Lieberman has extensive international and domestic marketing and advertising management experience with global communications companies. He worked at Young & Rubicam in New York, Milan, Italy and Sao Paulo, Brazil, managing Fortune 500 companies’ advertising accounts before becoming Executive Vice President of the Wunderman Direct Response Division of Young & Rubicam. Olivier Blanchard is a brand strategist with 15 years of B-to-B and B-to-C marketing management experience ranging from manufacturing and distribution to new media and consumer goods. He manages BrandBuilder Marketing, a brand consulting and marketing management firm that helps companies combine traditional and new/social media, and the Red Chair Group, which delivers executive social media training worldwide.When he isn’t writing, speaking, or consulting, he can be found on his blog at www.thebrandbuilder.wordpress.com or on Twitter at www.twitter.com/thebrandbuilder. 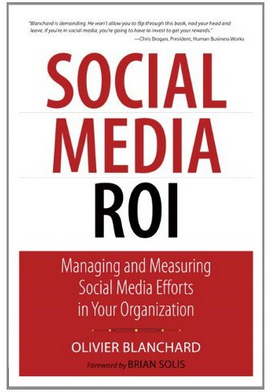 Use this book to bring true business discipline to your social media program and align with your organization’s goals. Top branding and marketing expert Olivier Blanchard brings together new best practices for strategy, planning, execution, measurement, analysis, and optimization. You will learn how to define the financial and nonfinancial business impacts you are aiming for–and achieve them. Social Media ROI delivers practical solutions for everything from structuring programs to attracting followers, defining metrics to managing crises. Whether you are in a startup or a global enterprise, this book will help you gain more value from every dime you invest in social media. A Guidebook to Create Color Combinations for Web Site Design. Choosing the right color palette can create a world of meaning for any on-line project. Color Harmonyfor the Web is a wonderful tool created for Web designers and desktop publishers. It provides you with the building blocks to ensure that you make the most effective color choices for every Web project-every time. This handy reference offers hundreds of color combinations organized by style and mood, and is all you need to help you wade through the thousands of color schemes available within the range of Web safe colors. Color Harmony for the Web provides you with the inspiration and know-how to make you Web colors sing. Build a disruptive marketing agency for the modern age. Paul Roetzer is founder and CEO of PR 20/20, a Cleveland-based inbound marketing agency, specializing in public relations, content marketing, search marketing and social media. PR 20/20 was the first agency in HubSpot’s value-added reseller (VAR) program, which now includes more than 250 certified firms. Prior to launching PR 20/20 in 2005, he spent six years as a consultant and vice president at a traditional public relations agency. 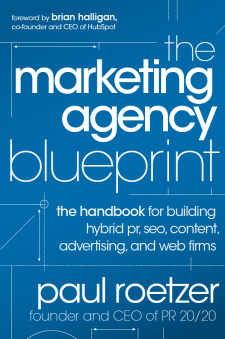 His book, The Marketing Agency Blueprint, serves as a guide for building tech-savvy, hybrid agencies that are more efficient, influential and profitable than traditional firms. From YouTube to Facebook to the iPhone, today’s media landscape offers more tools and platforms for the savvy marketer than ever before. And with this rapidly evolving technology come powerful ways to track what’s working, what’s not, and how to get the maximum impact for your brand in a shrinking economy. Media and brand expert Antony Young explores how today’s most innovative marketers are integrating the latest media tools into a comprehensive. 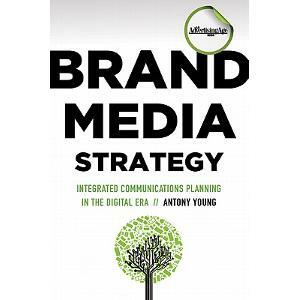 Antony Young is CEO of Mindshare North America and has developed media strategies in Europe, Asia Pacific and North America for influential global brands, such as Sony, Coca-Cola, McDonald’s, Procter & Gamble and Toyota. 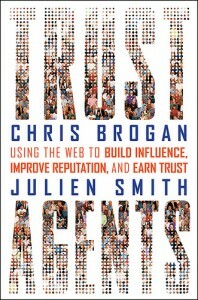 He is the co-author of Profitable Marketing Communications and writes regularly on media for Advertising Age. In 2003, UK Mediaweek rated Young one of the top 25 most influential people in the media industry.